This is the last of the 2017 blog posts!!! I'm officially ALMOST caught up!! 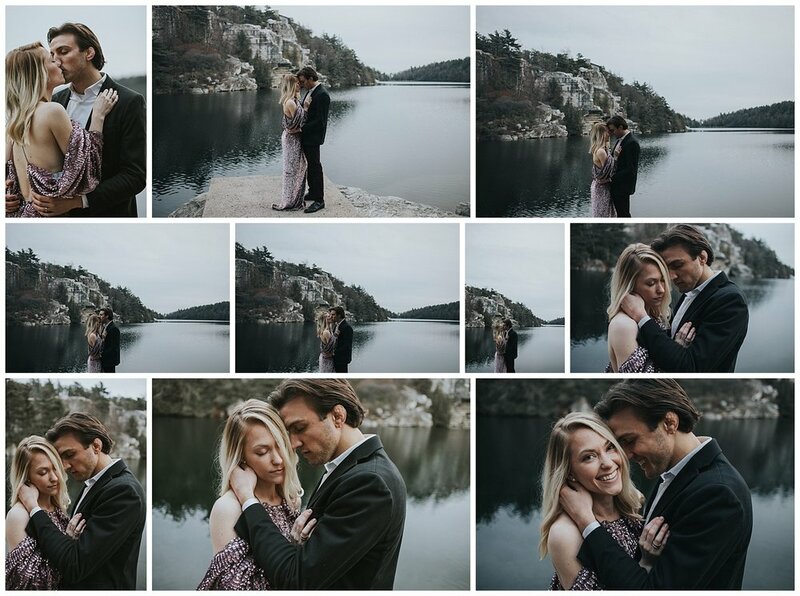 These two love birds came to me for their holiday photos and I'm so glad they did! Their outfits were on point, the weather wasn't too horrible and they got such beautiful photos!! I recommend Minnewaska to a lot of my couples! It's a super easy 1 mile walk to the falls and then you drive up to the top of the mountain for the lake photos! You get all the adventure photos without having to risk ruining your hair and makeup with strenuous activity. I hope you enjoy flipping through this session!